Last weekend our team completed its last training. Saturday, we started with a last time walking throws about our tactical game. Afterwards, we had a pick-nick and were all happy that we could jump in to the water in the afternoon. After the training session, we went to the centre of Brugges for dinner and then back to the hotel were we watched the “Portugal-Uruguay” football game, while stretching. 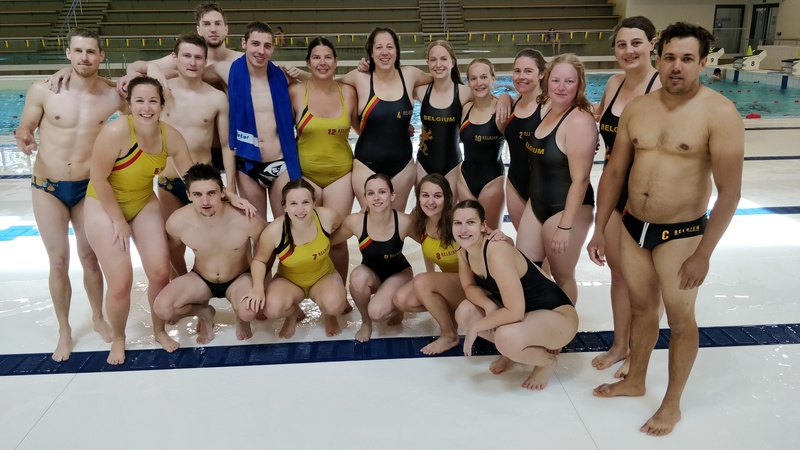 The next day we went back to the pool where we played some friendly matches against the guys from Orca Bilzen. Some family of our players came all the way to Brugges to watch this. The several games stopped at 15h30. We were quite happy about the result of our game. Unfortunately we had to stop a bit earlier, because the pool had to be cleaned since our breiers (fins) made black marks on the bottom. Thanks to Andy, Ward, Lenn, Hannes and Kristof to come over to our trainingscamp in Brugges!